Wish you a very happy,and serenity life and a magnificent,brilliant weekend with your loved ones !!! 1 x 5***** for your amazing pot - my dear friend AHMED !! With all my heart,thank you for all your warm and awesome words !! You are always,very sweet,very kindness and a very true friend !! Thank you Ahmed! I love your past gallery and your new amazing pots! 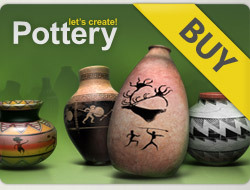 5***** for all your awesome pots - dear ANMED !!!!!!!!!! A very happy week with your loved ones !!!!! Thank you so much, Ahmed ♥ Happy day !!!! Thank you Ahmed your gallery is amazing!